The Trust also collaborates with Cincinnati’s Lloyd Library and Museum, in the collection and archiving of one of the world’s largest bodies of contemporary medical illustration, The Vesalius Trust Collection of Art Serving Medicine and Science. As of the end of 2016, the Collection contains over 4000 original illustrations from 48 medical illustrators, dating from 1920 to the present. Medical illustrators and related professionals are encouraged to inquire about donating their work. 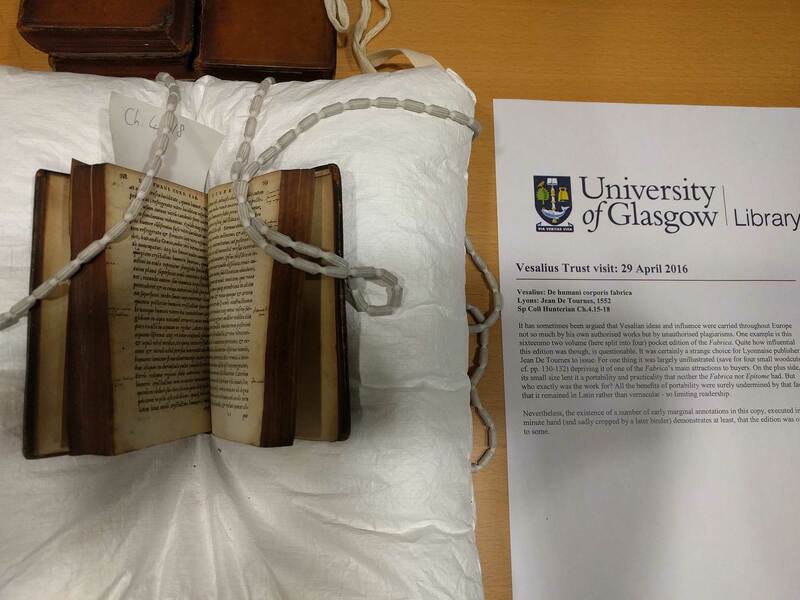 The Vesalius Trust Art and Anatomy Tours are educational travel experiences for medical illustrators and others interested in the history of anatomy, medicine and anatomical art. Averaging 10-13 days in length, tours began in 1994 with an initial proposal written by Marie Dauenheimer and presented to the Vesalius Trust board by Bill Andrews and Marcia Hartsock. In collaboration with International Seminar Design, Inc. and Prof. Giliola Gamberini at the University of Bologna, the first tour took place in Italy in May 1997. Thirteen participants traveled to anatomy and art museums, anatomical theatres and other historic sites in Florence, Siena, Bologna and Padua. In October 2001, a group of ten traveled to Paris and environs. After attending the Association Européenne des Illustrateurs Médicaux et Scientifiques (AEIMS) conference in Paris, the group focused on tours of artist’s homes and studios, including Monet’s “Giverny”, Van Gogh’s last home in Auvers-sur-Oise and Rosa Bonheur’s Chateau de By in Thomery. Paris-based medical illustrators Antoine Barnaud and Merri Nordman Scheitland arranged for the group to visit several art and anatomy museums not open to the public. In November 2003, the third Art and Anatomy tour explored The Netherlands and Belgium with expert guide Nick Fritz. The group of 12 traveled to Amsterdam, Haarlem, The Hague, Delft, Brussels, and Bruges and attended the AEIMS conference in Leiden. Highlights of the tour included seeing the famous Rembrandt painting “Dr. Tulp’s Anatomy Lesson” at the Mauritshuis, viewing the original Albinus Atlas drawings by Jan Wanderlaar at the Leiden University Library and viewing a wonderful collection of rare anatomical and medical books at the Teylers Museum in Haarlem. In 2006 the fourth tour explored England and Scotland with medical historian /guide Susan Weir. The group of 9 traveled to medical, anatomical and art collections in Bath, Bristol, London, Oxford and Edinburgh. 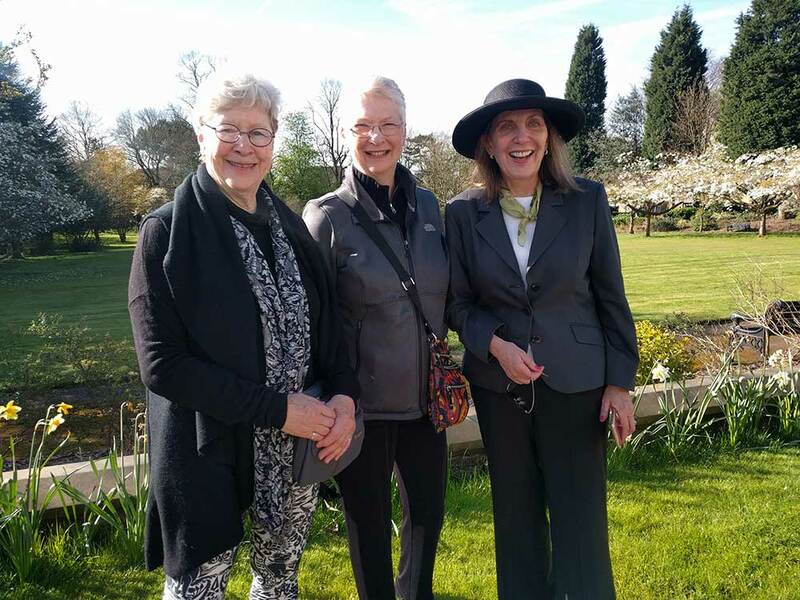 The AEIMS conference was held in Bristol, England and was hosted by former Netter Award winner Margot Cooper at her medical model headquarters Limbs and Things. The fifth tour in 2009 had a record breaking number 19 attendees. The group toured anatomical and artistic points of interest in Florence, Bologna, Padua, Venice, Pavia and Milan. In addition to attending the AEIMS Conference in Milan, the group had a private tour of the University of Bologna’s Scuola di Disegno Anatomico at the Istituti Ortopedici Rizzoli, the oldest medical illustration program in Europe. Other tour highlights included a visit to La Specola to see the famous collection of wax anatomical models, the Teatro Anatomico in Bologna. Teatro Anatomico at the University of Padua and the anatomy museum at the University of Pavia. In 2014, the Vesalius Trust honored the 500th anniversary of the birth of Andreas Vesalius with a tour to southern Greece including attendance at the international conference “Vesalius Continuum” on the beautiful island of Zakynthos. This island, the location of Vesalius’ death, features many statues, monuments and streets commemorating the famous anatomist. The 2016 Art and Anatomy tour traveled to the United Kingdom, beginning at the Manchester conference of the Medical Artist’s Association. 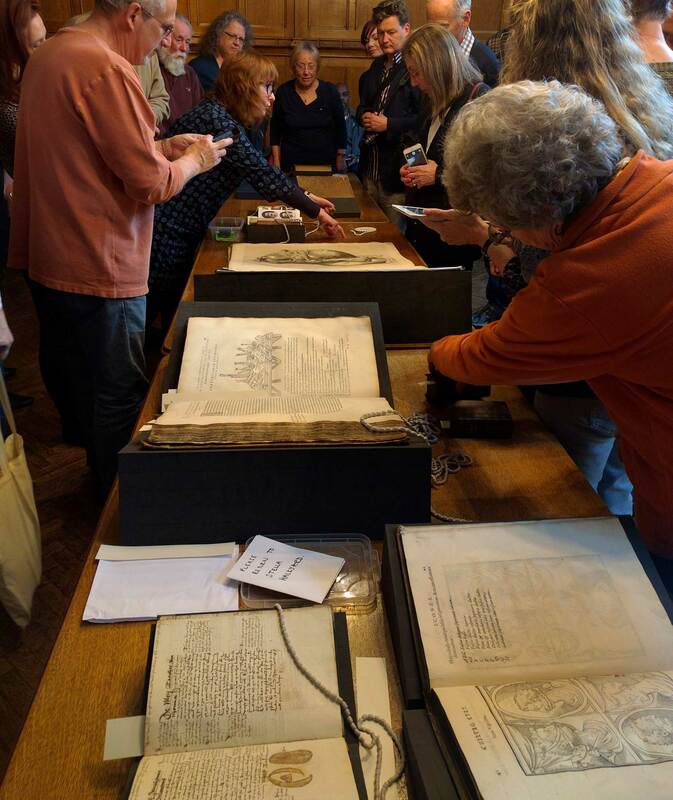 Highlights of the tour after the conference included multiple medical history museums, libraries, and collections in both England and Scotland, as well as a private exhibition of the scientific illustrations of Beatrix Potter. All of the Art and Anatomy tours carry CEU’S for Certified Medical Illustrators, and include attendance at the Association Européenne des Illustrateurs Médicaux et Scientifiques or related professional conference. A portion of each fee is donated to the Trust. The 2018 Art and Anatomy Tour will explore Budapest, Vienna, and Prague. Read more about tour details here.